If you’re interested in sumo, moto-i is the place to be. We show all of the Grand Sumo Tournament matches, and there are cash prizes and happy hour specials for league members. Sign-up in person at Moto-i today! 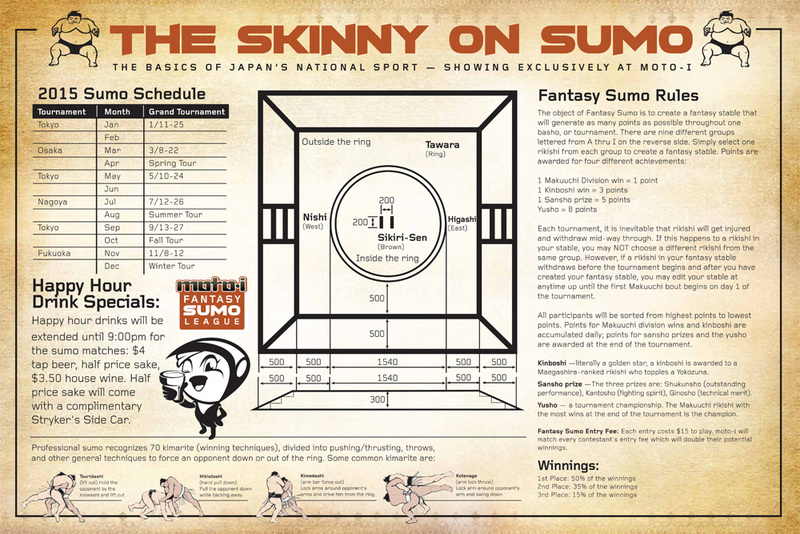 Sumo shown daily at 2:20pm – new broadcasts shown at 6pm during tournament time.